Air dry clay flowers look beautiful and fresh round the year. Filler flowers or small flowers are used to fill up spaces in flower arrangements and bouquets and also to provide contrast to the main flowers. 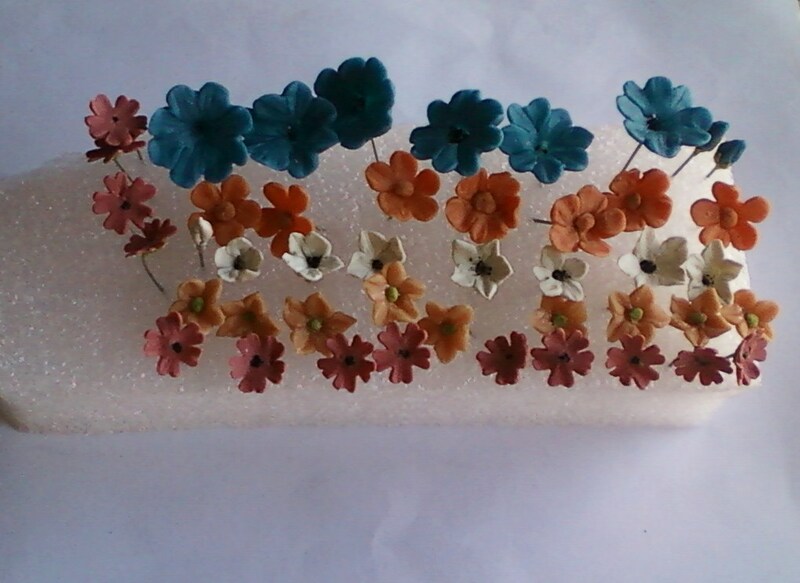 Its pretty tiring to make tiny flowers complete with stems but they make the flower arrangement come alive. After making all types of roses I decided to make these tiny flowers in an assembly line manner . First I made all the flowers then added stems to them at one go. This made my life much easier. Handmade flowers require a lot of patience and should be made when one in the mood for it or the effort will be wasted.